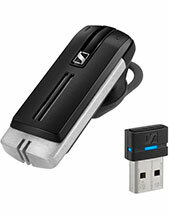 Jabra BIZ 2400 II Mono USB 3-in-1 Headset is a world-class innovative headset that is perfect for professional use. Aimed to be one of the best in the industry, this device is integrated with great technologies and features that can help users to improve their effectiveness at work. Through the headset, users get to improve how they handle and manage calls, especially when connected to a desktphone or softphone. Jabra BIZ 2400 II Mono USB 3-in-1 Headset also delivers top-notch comfort, considering it can be used for a long period of day at ease. It has padded headband and soft leatherette ear cushions for comfort. 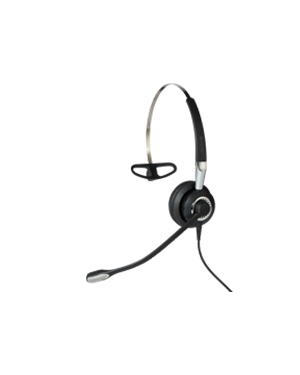 Find out how to purchase this headset by calling our experts at Australia wide 1300 088 088 today! Jabra Corporation, a GN subsidiary headquartered in Copenhagen, Denmark, is a popular business and consumer electronics company that is responsible for the development, manufacture, and marketing of wide selection of corded, wireless, and Bluetooth headsets for office-based and mobile phone users around the world. The company was founded in the year 1983 by inventor and entrepreneur Elwood Norris in the Utah company Norcom Electronics Corporation. Before the company became the Jabra Corporation that the market is familiar with, it started out as part of Norcom Electronics and Norris Communications, Inc. The company formally became Jabra in January 1993 when Brean Murray and Randy Granovetter bought the shares and royalty of the earphone product. From there, the founders improved upon the product and expanded its technologies and solutions. Jabra is even responsible of the very first in-ear integrated speaker and microphone in the market. It is also responsible for developing DSP-based noise and echo cancellation technologies, which the company has integrated in its products. 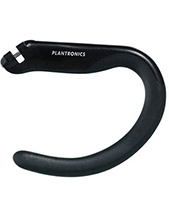 Headsetsonline Pty Ltd is an Australian enterprise that has made its name in terms of the supply and wholesale of headsets to corporate and government agencies. While it may be true that the company started as a division under a popular company that did the same thing since the year 1998, it cannot be denied that it improved on its offers and has become of the most reliable enterprises in the market. 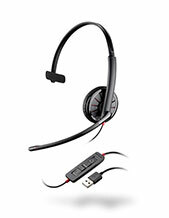 Headsetsonline gets all of its products and solutions not from grey imports but from Australian distributors. By choosing local distributors, the company ensures that all the products it offers are able to pass Australian standards certification. More than that, the warranties offered along with the products are also ensured to be covered for customers, wherever they are in the country. More than just high quality product offers, Headsetsonline also conducts most of its deliveries with flat shipping rates. The company promises no additional charges and hidden fees, and makes sure to abide by this promise.